Awesome Alien movie poster by Andrew Swainson! Back in 2014, Poster Posse had a project for the 35th Anniversary of 'Alien'. This artist, Andrew Swainson, submitted a couple different ones. Of all that were submitted (and of the many 'Alien' official or fan posters I have seen over the years), this is my favorite. It is finally available and Andrew is selling them at his store in limited quantities. If they are no longer available there, you can get them at Acme Archives' Dark Ink. I also have his 'The Thing' poster and am hopeful he'll tackle 'Blade Runner' at some point. 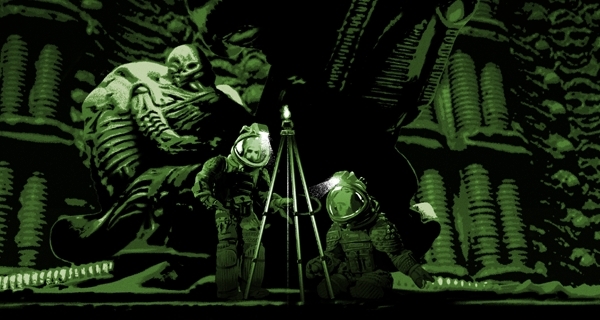 2 Fan responses to Awesome Alien movie poster by Andrew Swainson!